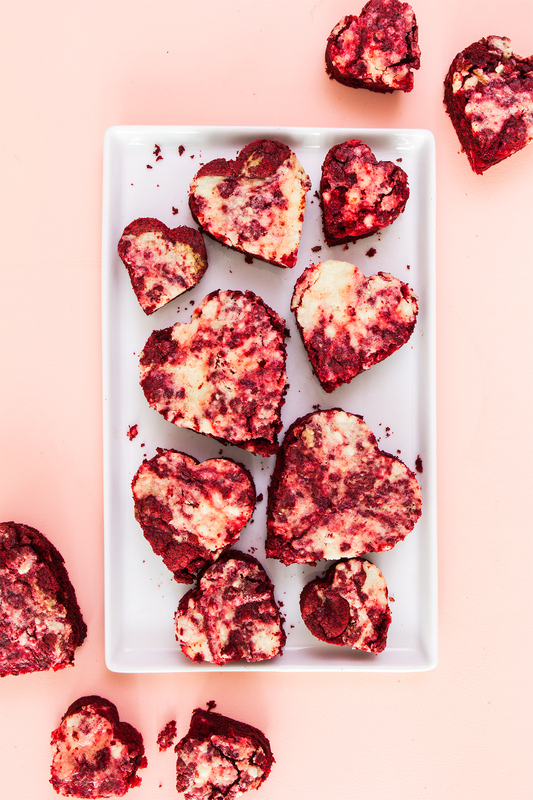 Rather than deciding between cake and ice cream, why not put the two together? 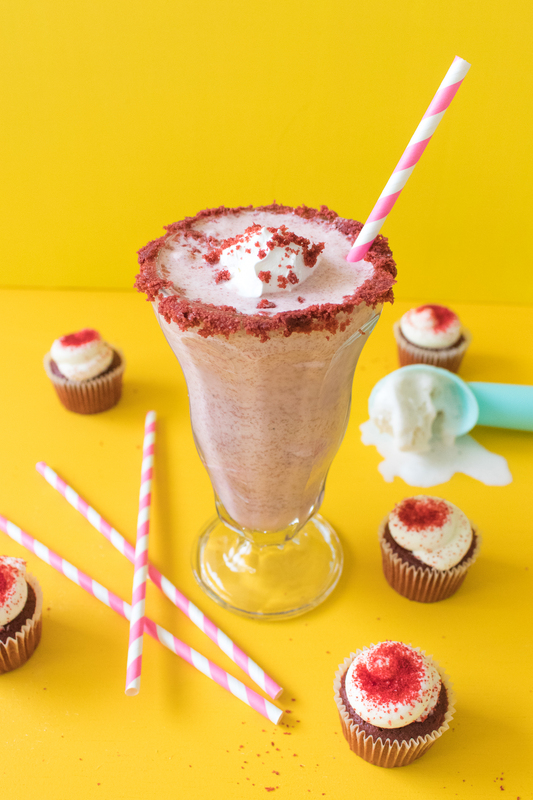 Make a rich, creamy red velvet milkshake made with vanilla ice cream and frosted red velvet cake to celebrate Valentine’s Day (or just because). The key to making a great milkshake is simple: use good ice cream! High quality ice cream and an extra teaspoon of vanilla extract will make any milkshake better. 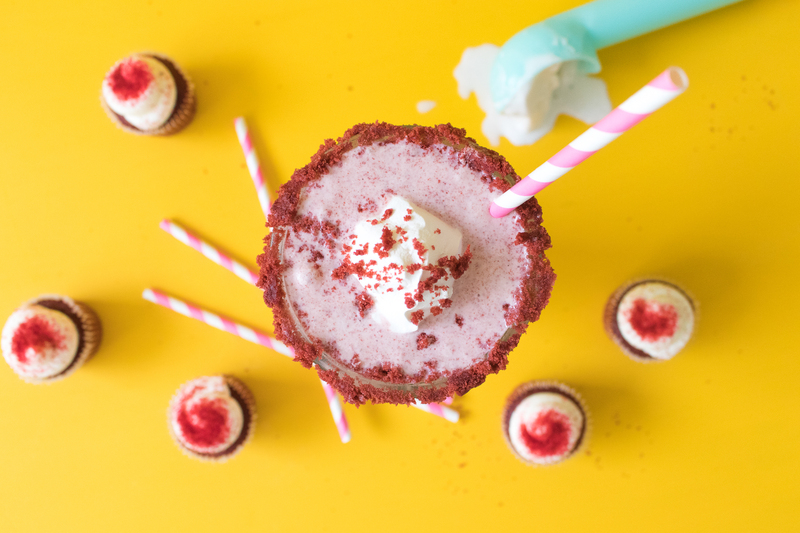 Then, when you add red velvet cupcakes and a little cream cheese, you get this delicious, extra creamy red velvet milkshake recipe that is truly better than cake. 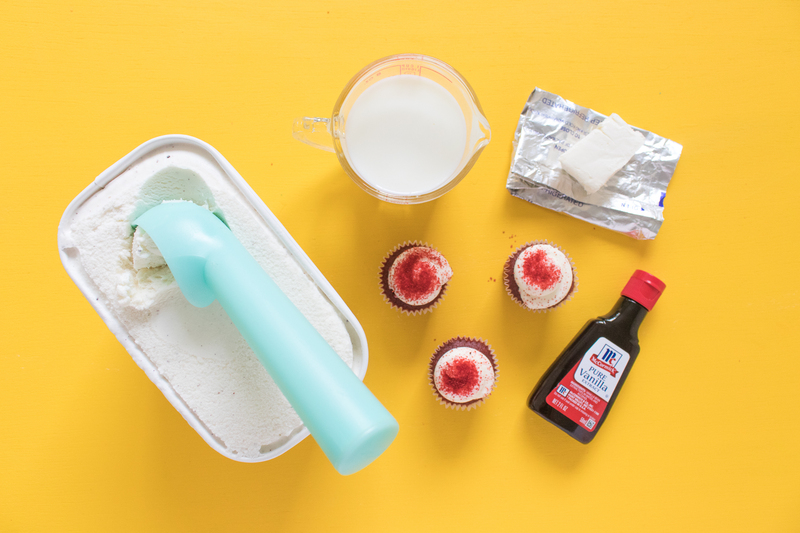 Combine ice cream, milk, vanilla, cupcakes (frosting and all) and cream cheese in a blender and blend until smooth. Add more milk if needed to blend smoothly. 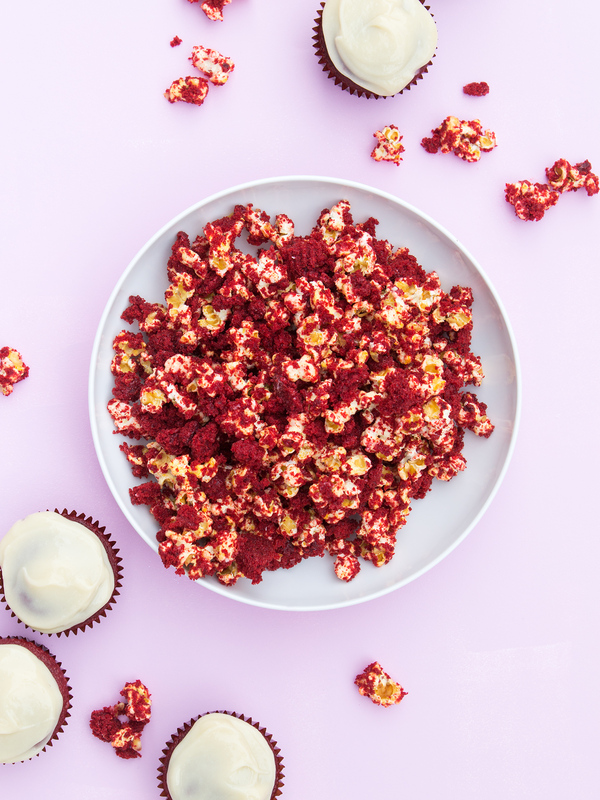 Dip the top of a milkshake glass in the milkshake mixture, then cover with red velvet cake crumbs. 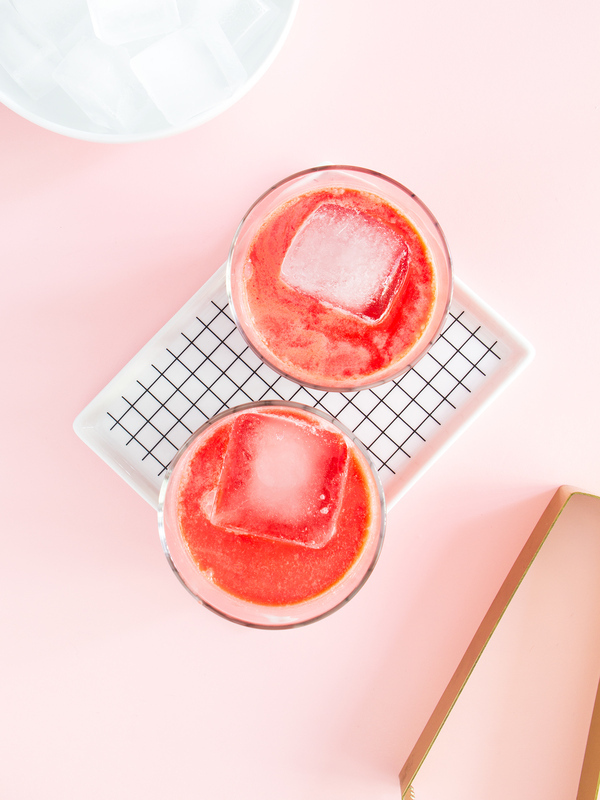 Pour milkshake into the glass and top with whipped cream.